This week’s 10th anniversary of Casino Royale generated a number of stories crediting the 21st James Bond film with saving the franchise. However, this wasn’t the first time the series, in the eyes of some, had been saved. What follows is a list of four. Diamonds Are Forever (1971): Sean Connery returned to the Eon Productions fold for a one-off after 1969’s On Her Majesty’s Secret Service. Producers Albert R. Broccoli and Harry Saltzman weren’t looking for Connery’s return. But United Artists executive David V. Picker was. As a result of efforts by Picker, Connery was offered, and accepted, a $1.25 million salary coupled with other financial goodies. John Gavin, who had been signed as Bond, was paid off. None other than Picker himself, in his 2013 memoir Musts, Maybe and Nevers, said the moved saved the Bond series. Hyperbole? Maybe. Still, Majesty’s box office ($82 million) slid 26.5 percent from You Only Live Twice and 42 percent from Thunderall. Those percentage change figures won’t warm a studio executive’s heart. Diamonds rebounded to $116 million, better than Twice but still not at Thunderball levels. Nevertheless. Picker has argued his strategy of getting Connery back kept the series going. The Spy Who Loved Me (1977): The 10th 007 film was made after Broccoli and Saltzman dissolved their partnership, with UA buying out Saltzman. What’s more, the box office for the previous series entry, The Man With the Golden Gun, had plunged almost 40 percent from Roger Moore’s Bond debut, Live And Let Die. As a result, there was anxiety associated with the production. Spy ended up re-establishing Bond, in particular the Roger Moore version. The movie produced a popular song, Nobody Does It Better, and the film received three Oscar nominations. GoldenEye (1995): The 17th Bond adventure made its bow after a six-year hiatus, marked by legal fights. Albert R. Broccoli, at one point, put Danjaq and Eon on the market, though no sale took place. As the movie moved toward production, health problems forced Broccoli to yield day-to-day supervision over to daughter Barbara Broccoli and stepson Michael G. Wilson. The question was whether 007, now in the person of Pierce Brosnan, could resume being a successful series. The previous entry, Licence to Kill, didn’t do well in the U.S., finishing No. 4 in its opening weekend, even though it was the only new movie release released that weekend. GoldenEye did fine and Bond was back. 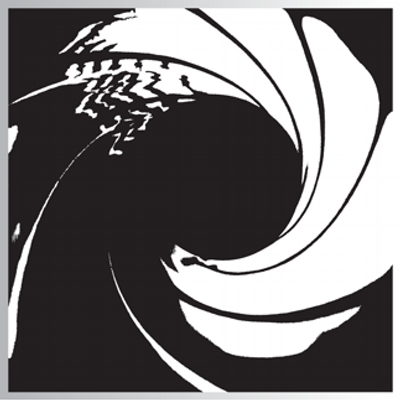 Casino Royale (2006): This week, a website called History, Legacy & Showmanship had comments by various Bond students, including documentary maker John Cork, who is quoted as saying, “Casino Royale saved Bond.” Yahoo Movies ran a piece with the headline ‘Casino Royale’: The Movie That Saved James Bond Turns 10. If Casino saved the franchise, it wasn’t necessarily in a financial sense. 2002’s Die Another Day was a success at the box officce. But Barbara Broccoli and Michael G. Wilson were having a creative mid-life crisis. The something new was casting Daniel Craig in a more serious version of 007 and starting the series over with a new continuity. Casino was a hit with global box office of $594.4 million compared with Die Another Day’s $431.9 million. In the U.S. market, Casino actually sold fewer tickets than Die Another Day (25.4 million compared with 27.6 million). But, with higher ticket prices, Casino out earned Die Another Day in the market, $167.4 million to $160.9 million. On Twitter, the blog did an informal (and very unscientific) survey whether fans thought Casino had saved the series. You can see the results below. Casino Royale saved Bond! Your reaction? I’m glad these movies were successful but nothing compares with the excitement of the first four Sean Connery films and the spy craze they created in the 60’s. Live and Let Die was an interesting one, with a new leading man… I liked it a fair bit, but Man with the Golden Gun has to be the worst of the whole series. The Spy Who Loved Me was pretty good, but most of the Roger Moore ones got too silly.